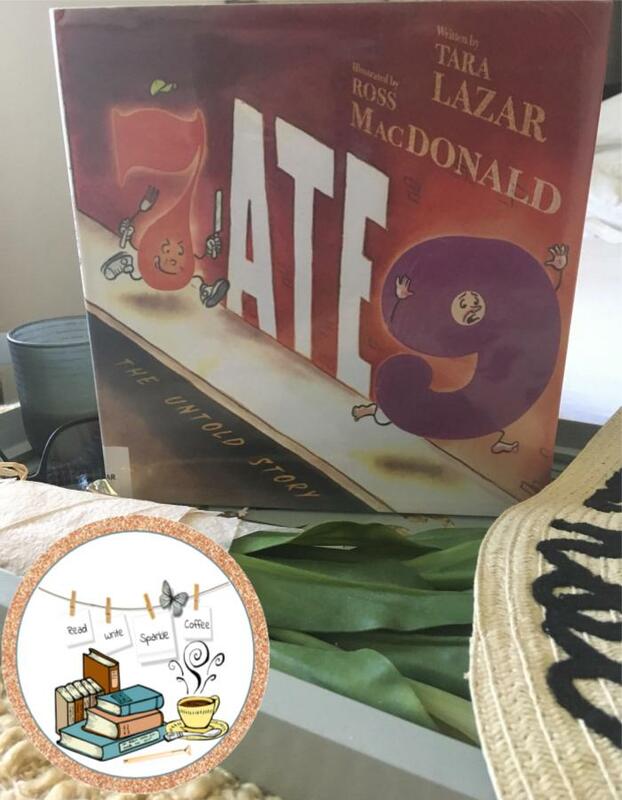 While strolling through the shelves of the picture book section of the library, 7 Ate 9: The Untold Story by Tara Lazar caught my attention. I immediately remembered the joke: Why was six afraid of seven? Because seven ate nine! This silly joke is brought into this humorous mathematical picture book that uses play on words to entertain readers of all ages. A special detective, a private investigator I is on the case when the number 6 informed him that the number 7 was after him. "Word on the street is that 7 ate 9! And now he's after me! (page 4)." And the story problem begins. 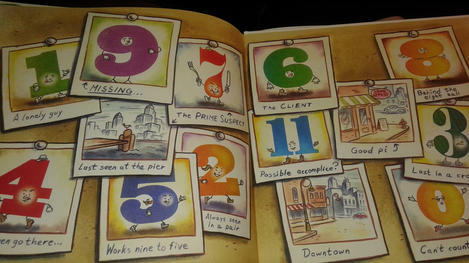 I think this is a great way to integrate reading into math time with this book's play on numbers and mathematical words. 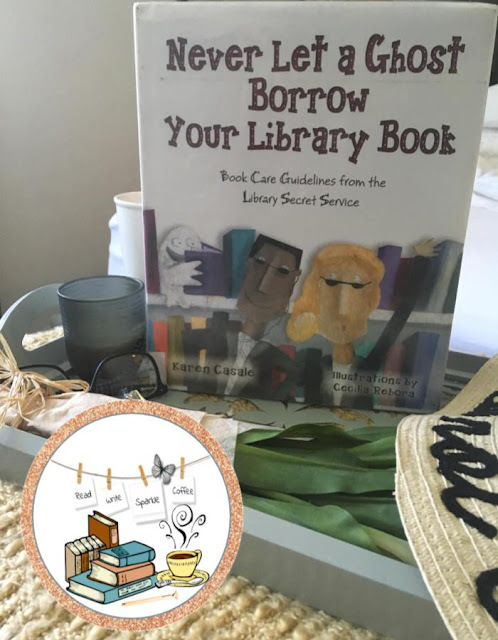 Once the book has been read, it will be time for students to solve some problems of their very own. This could be paired with some creative story problems, using current concepts you are teaching in the classroom. You students can play the role of the private I. 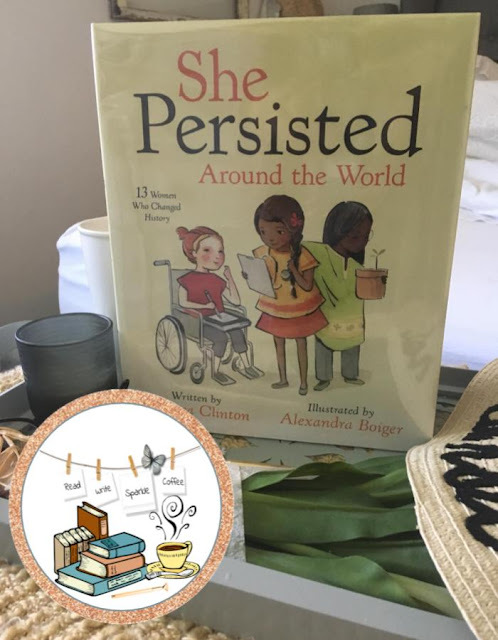 After reading, She Persisted: 13 American Women who Changed the World by Chelsea Clinton, I knew that I needed to read the companion book She Persisted Around the World: 13 Women Who Changed History! Written in the same style as She Persisted, this book's layout begins with a message of persistence and then highlights a woman, how she persisted, what she accomplished, a picture, and a quote. The 13 women are: Sor Juana Ines de La Cruz, Caroline Herschel, Kate Sheppard, Marie Curie, Viola Desmond, Mary Verghese, Alisha Rateb, Wangari Maathai, Joanne Rowling, Sissi, Leymah Gbowee, Yuan Yuan Tan, and Malala Yousafzai. The book concludes with an inspirational message to the reader, "they persisted and so should you". The message is clear, persistence is key AND that women ALL OVER THE WORLD have been doing it! Do not let anything hold you back. 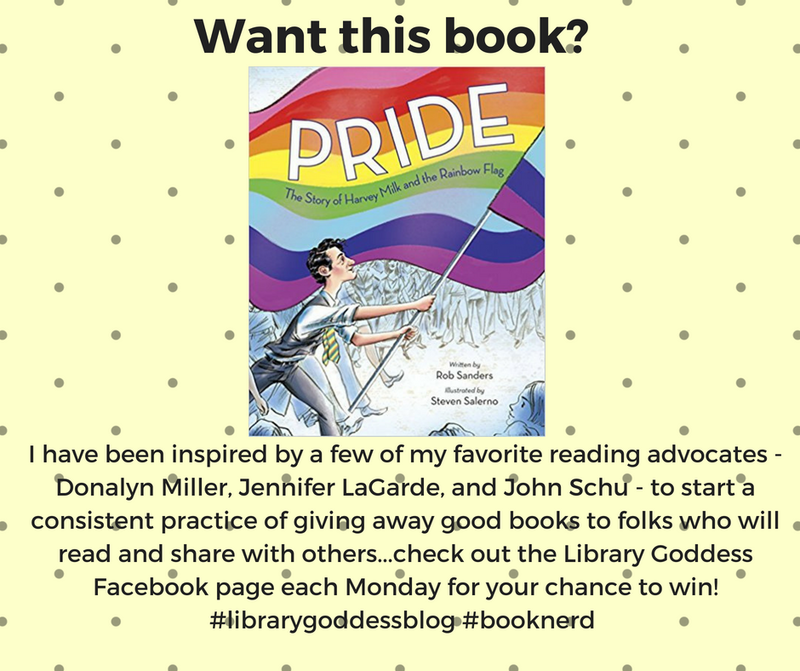 This is another introductory book to open your students minds to these different women, in hopes that they are interested in learning more about their lives and what they accomplished. As these women are from all around the world, I would point out the countries in which they are from and where it is located on the map. 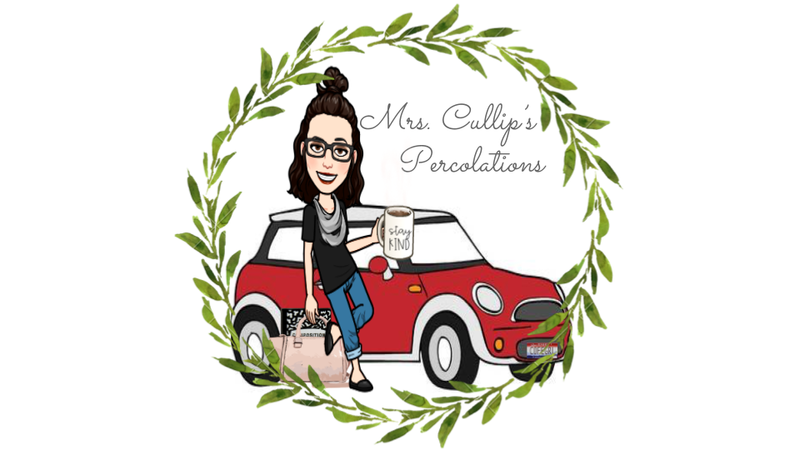 Because, I am a fan of the Butterfly Effect, I would encourage the students to share if any of these women's actions had a personal effect on them. I am looking forward to hearing these responses when I share this book in my future classroom. 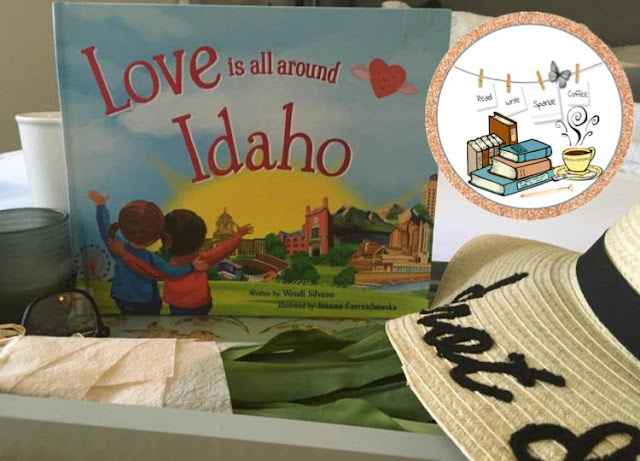 A picture book written by Wendi Silvano and beautifully illustrated by Joanna Czernichowska, Love is All Around Idaho. As an Idaho resident (of almost 5 years) I was well pleased with the writing of this book and the inclusion of cities and places known and visited. As I read aloud this story to my daughter, the smile on her face told me that she experienced that feeling too. The story emphasizes where we can see love and how we can share love; love is literally all around us... 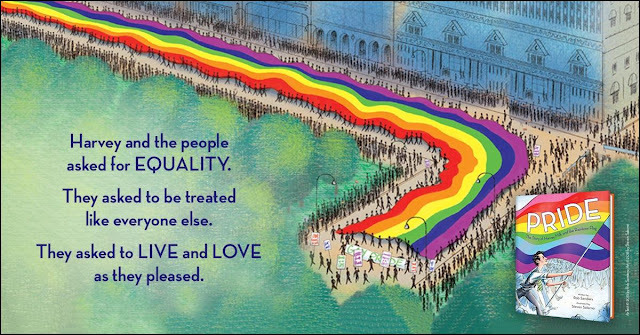 IF we take notice; love is in our state, city, neighborhood, and our home. than the love of your family, especially for you! 1. changeableness 2. the dispersion, spread, or scatter of scores or values in a distribution, usually about the mean (average). 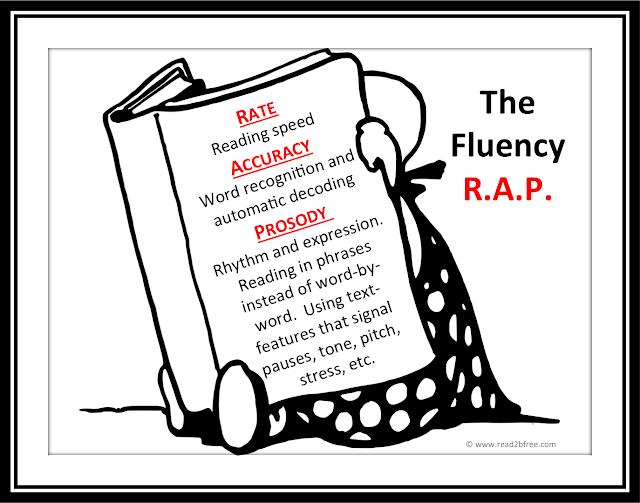 is one way to determine a student's reading fluency. Quick probes based on carefully selected passages can help teachers screen, diagnose, and monitor students' progress. Reading fluency is calculated by taking the total number of words read in one minute and subtracting the number of errors. Only count one error per word. This gives you the words correct per minute (wpm). The words correct per minute represent students' fluency levels (Calculating Reading Fluency). the many aspects of the complex act of producing a written communication. 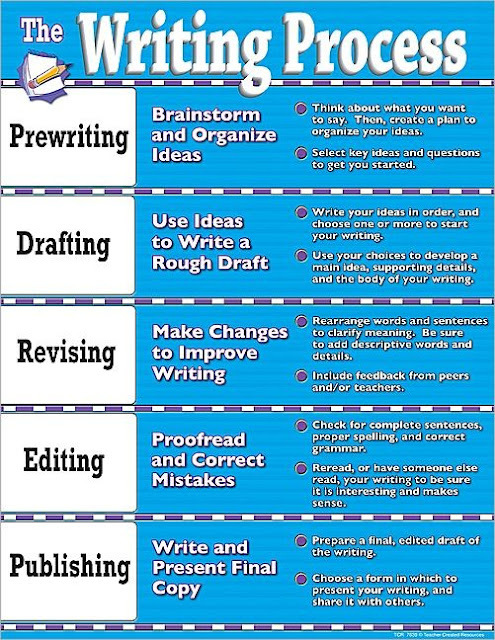 Planning/Prewriting, drafting, revising, editing, and publishing. I absolutely love Twitter (follow me @C0FEGRL), so I was excited to read Nerdy Birdy Tweets by Aaron Reynolds. 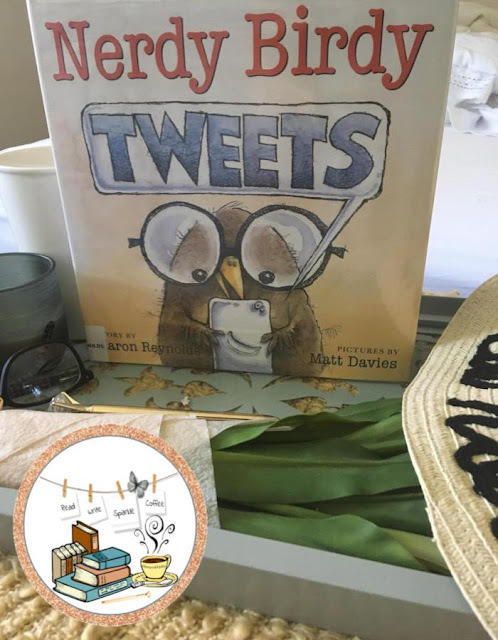 This cute picture book is about a little bird, Nerdy Birdy, who loves playing video games and his best friend Vulture, who does not like video games. Opposites do attract as these BFF's are extremely different! Yet, when they come together they have lots of fun making silly faces and taking photos of each other. One day, Nerdy Birdy finds a game called Tweester, allowing him to: follow people, be followed, text with followers, and play games with them. Vulture is not really impressed; however, listens to Nerdy Birdy as he brags about all of his followers. Vulture becomes bored as Nerdy Birdy pays more attention to his followers on his phone. In order to re-friend his BFF, Vulture starts a Tweester account and follows Nerdy Birdy. The relationship is saved as they reunite online. However, a new problem is created in this online friendship and he turns to his new found friends on social media for assistance. During this character to character conflict, a message about friendship, social media, and balance is told through both beautiful words and illustrations. It is an incredible way to teach appropriate digital citizenship to your students of all ages! I will definitely be using this book to start a social media conversation in my classroom. Do not forget, that there are benefits to the online world.. you can tweet with author Aaron Reynolds here! Used appropriately, apps like Twitter can allow you to connect with those around the world and grow your Professional Learning Network (PLN). Using hashtags like #P5educators #aspiringeducators #teacherbsn #bookaday #idedchat #edchat you can connect with hundreds of educators just like you! Just do not forget about your Teacher BFF next door or down the hall. 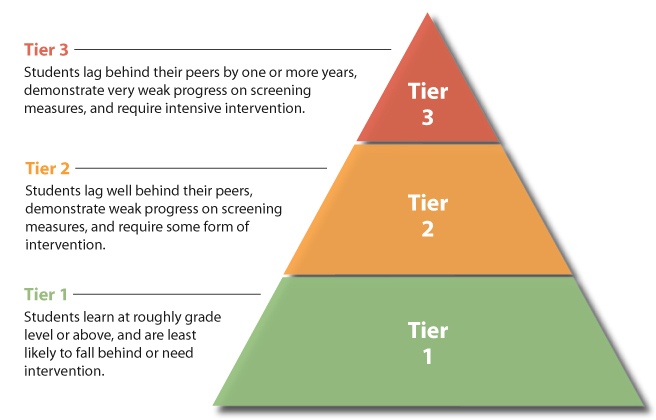 is a multi-tier approach to the early identification and support of students with learning and behavior needs. The process begins with high-quality instruction and universal screening of all children in the general education classroom. increasing the time and intensity of the child's exposure to the core curriculum for children who do not appear to be responding appropriately general education. 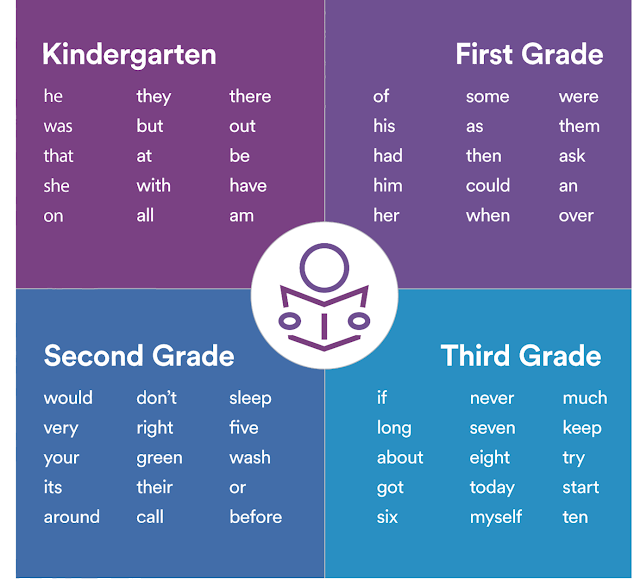 For instance, an additional 30 minutes per day may be devoted to reading in a small group (3-6 students), with a focus on building accurate and automatic recognition of words in text. 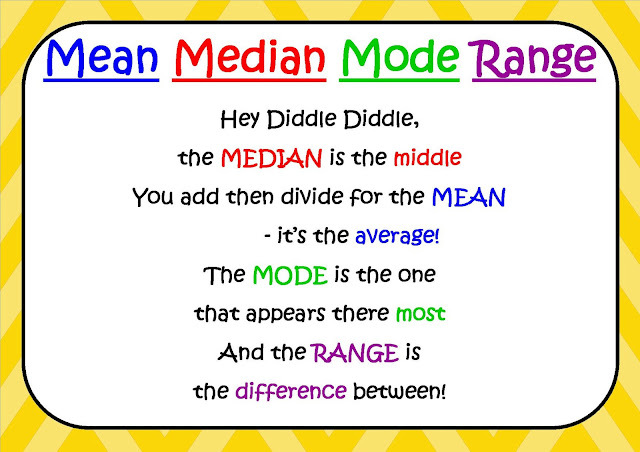 Adjustments can be made to increase time on task or decrease student/teacher ratio. Early intervention services. Small group/ adult led. includes many children who have been found eligible for special education and related services, and some who have not. Special education eligibility may allow exposure to remedial methods and practices that, although research-based and aligned with the content of the core curriculum, are not necessarily a part of the core curriculum. The cycle of progress-monitoring and adjustment of intervention will continue, even if a determination for special education eligibility is made. Intensive intervention. Classroom pull out. In order to clarify how students’ performance or product would be assessed, Ms. Peck provided and discussed a chart showing criteria for quality work. The criteria for various levels of quality were clearly identified along with the numerical score that each level of performance would warrant. Miss Evans discusses with her class an upcoming writing assignment. a cumulative account of selected behavior, as that of a student noted by a teacher over time. 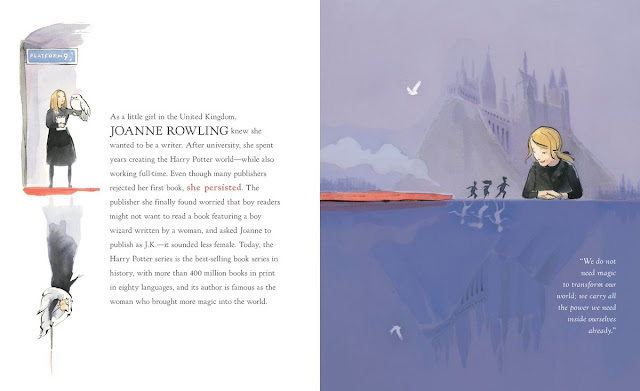 The running record allows you to record a child's reading behavior as he or she reads from the book. 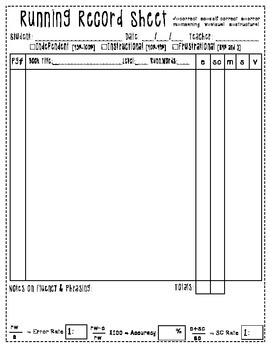 Running records enable a teacher to notice which cueing systems a child is using while reading connected text. Miss Brown used an efficient system to mark Petronella’s oral reading behaviors. She then calculated Petronella’s reading rate, as well as word recognition and self-correction percentages. Miss Brown also analyzed Petronella’s errors to see which cues she used – meaning, structure, or visual. From my own book collection, I reread The Way I Feel by Janan Cain aloud with my daughter today. To be honest, I ran out of books to read! 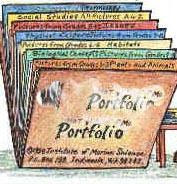 I finished my picture book stack from our last library visit. 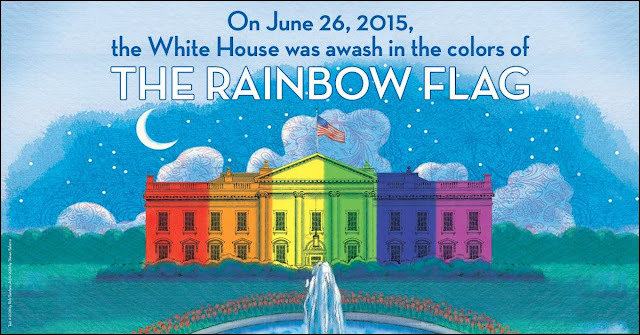 But, I am glad that I returned to one of my favorites for this #BookaDay challenge. I have not read it since my boys were little and before the movie Inside Out was made. Each emotion is highlighted over two pages with small text which describes it in a way a child can understand and relate to if they have had experience with it. The illustrations assist the child in the understanding of the word. 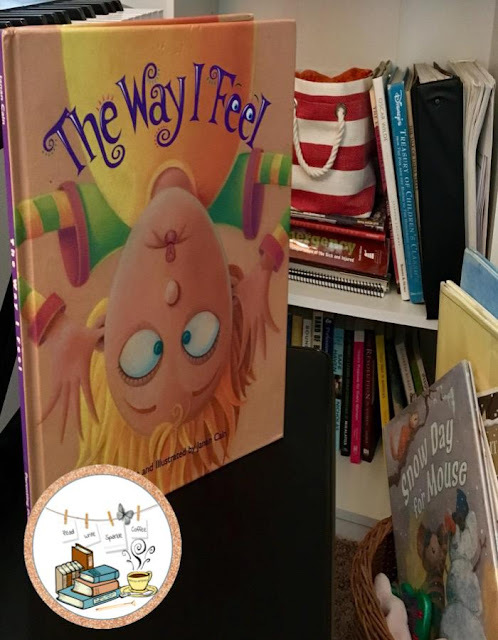 I really like how this book gives meaning and a name to the different of emotions that children may experience. Because they have a name and a definition, students know that they are real and that they have a purpose. I have found in working with and raising children that this is not something they just know. What they do know, is that it is a different feeling than what they had before. So it is important that they find out what to do with the emotions that they experience. After reading this book, I want to do an activity in their journal. 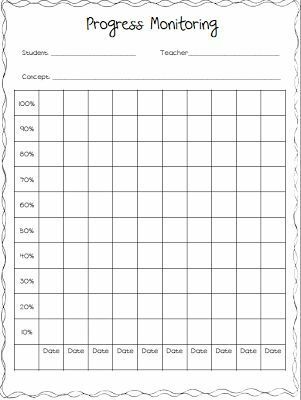 Each student will create a chart be given a chart to cut and paste into their writing journals. The section headings will be the different emotions discussed in the book; as well as some blank sections. The headings: Characteristics, Examples, and Appropriate Response will guide the discussions. Then we will have a second reading of the book. 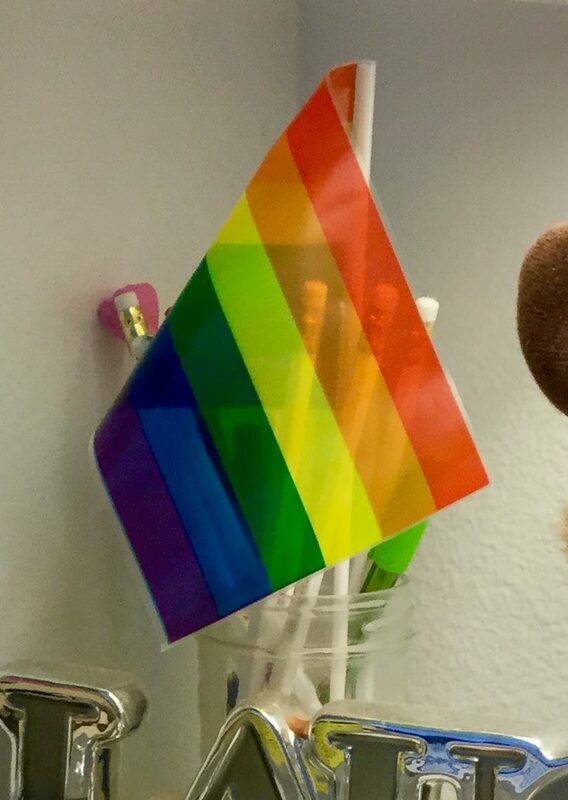 Through each of the emotions, we will discuss as a class what are some characteristics of this emotion, times that we have felt this way, and how do we appropriately respond to the emotion. This completed chart, will be a reference guide for students in their writing or a directed assignment to those students having difficulty processing an emotion. I was first introduced to the works of Jack Prelutsky in my Children's Literature class, I took at Idaho State University. 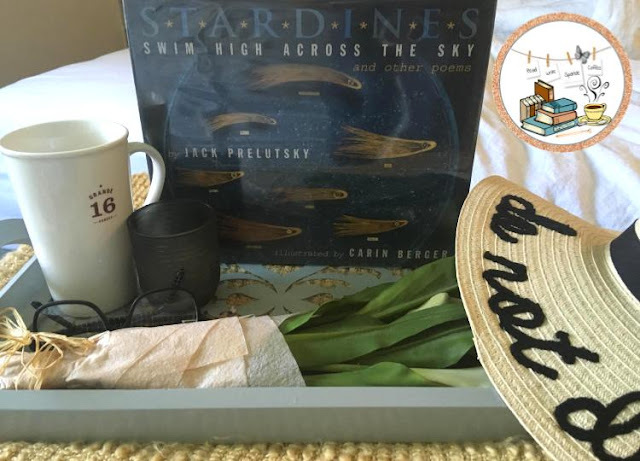 So, when I saw this book at my public library - Stardines Swim High Across the Sky I knew that I needed to make it a part of my Summer #BookaDay Challenge. they sit and read upon these logs. their homes are filled only with picture books! 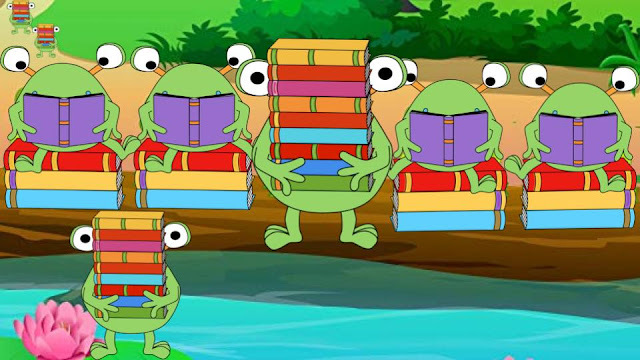 if I had a day of a bookafrog's life. 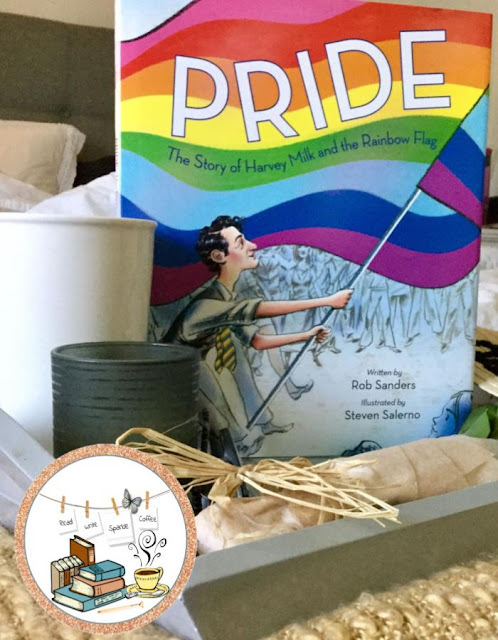 Our spontaneous activity in response to reading this book, has given me an idea for a simple writing and drawing lesson after sharing this story to my students. I wonder what other kinds of unknown creatures will be discovered in my classroom? This picture book supports the following Common Core State Standards: ELA-Literacy.RL.4.1,2,4,5,6,10; ELA-Literacy.RF.4.3,3a,4,4a,4a,4c; ELA-Literacy.L.4.3,4,5. Caldecott Honor Book, Peppe the Lamplighter by Elisa Bartone is a beautiful glimpse at America's history and immigration. Illustrator, Ted Lewin dedicates this book to the American Dream and his artwork sheds light on an Italian boy who did whatever it took to experience such life that was promised to him. 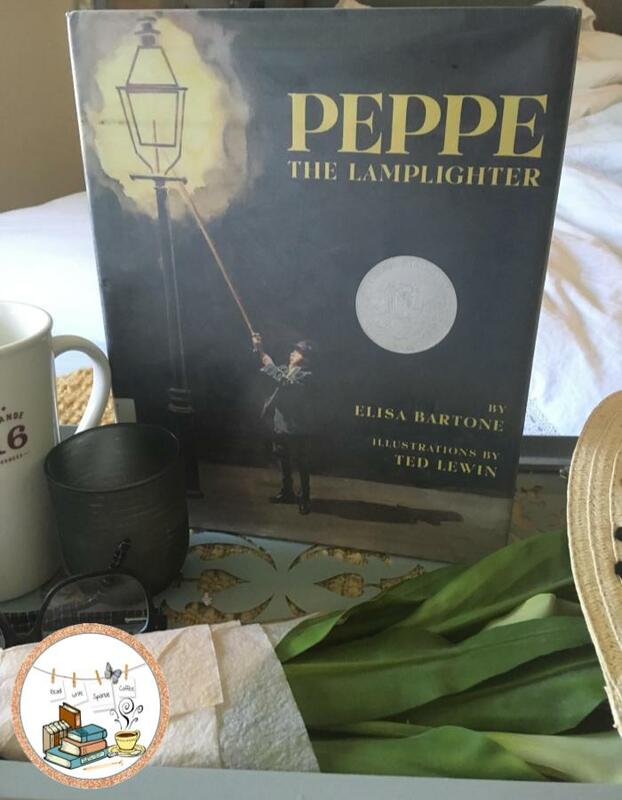 Although his position did not appear to be much to others it meant everything to Peppe; Bartone writes, "one by one he lit them all... he imagined them to be a small flame of promise for the future." I really like this realistic fiction picture book and the message it has toward, perspectives. It is our view really of what makes something valuable or not. Is a job respected only out of what others think? or does one's role in society matter through the eyes of the beholder and what lies within? Such ideas and thoughts could be discussed by asking them to our students first, in a journal writing activity and then second, asking those to share their personal beliefs on what are important positions today. This story could easily be integrated into a Social Studies unit of tracing the role of migration and immigration of people in the development of the United States. Encourage students to think about the role of children and those of smaller jobs that had a part in what America is today, because of them. 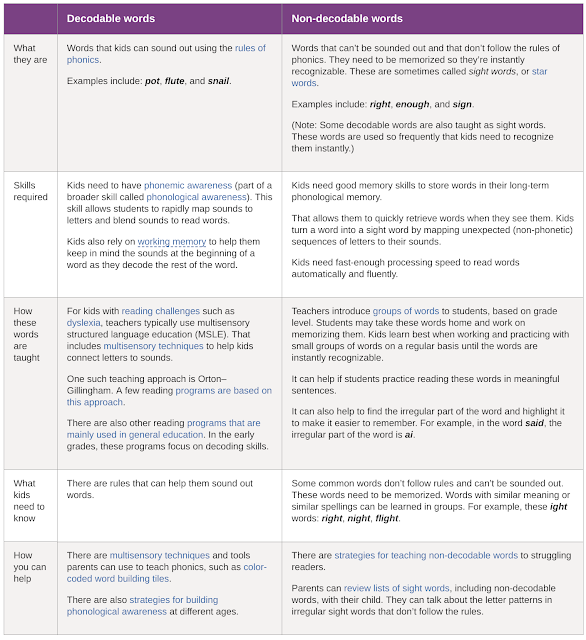 a formal examination of the use of miscues (mistakes) as the basis for determining the strengths and weaknesses in the background experiences and language skills of students as they read. 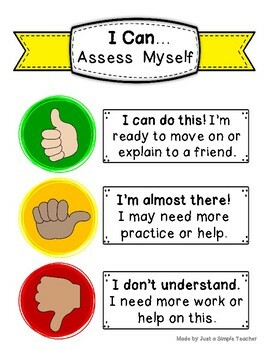 Can also be used to determine Instructional, Individual, and Frustration reading level. This 5-minute mini-lecture provides an overview of how to do a miscue analysis as part of an IRI or Diagnostic Reading Assessment Dr. Andy Johnson, Reading Specialist. After marking a typescript of Peter’s oral reading, Mr. Sears analyzed the differences between Peter’s oral reading and the text to determine the cueing systems – graphophonic, semantic, syntax -- most frequently used by Peter. the assessment of performance in relation to that of the norming group in the standardization of a test or in relation to locally developed norms. One way is to compare one child’s result with the results of other children. We can compare one child’s performance with what might be normally expected of other children—hence the word norm. Norms such as percentile ranks, grade equivalents, stanines, normal curve equivalents, scale scores, and many others are commonplace in educational parlance. They are useful in determining the overall developmental level of a child with respect to others. the measurement of educational achievement by tasks that call for the student to produce a response like that required in the instructional environment, as in portfolios or projects. performance-based assessment measures students' ability to apply the skills and knowledge learned from a unit or units of study. Typically, the task challenges students to use their higher-order thinking skills to create a product or complete a process (Chun, 2010). Tasks can range from a simple constructed response (e.g., short answer) to a complex design proposal of a sustainable neighborhood. Arguably, the most genuine assessments require students to complete a task that closely mirrors the responsibilities of a professional, e.g., artist, engineer, laboratory technician, financial analyst, or consumer advocate (Edutopia). Should be done three times during the kindergarten and first grade years to help guide instruction.